Our IP video intercom camera station door panel comes in black and provides elite intercom technology with available indoor monitoring. 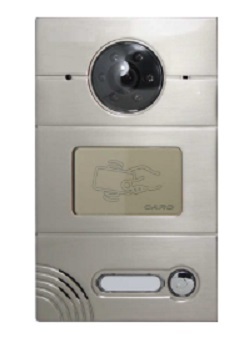 The zinc alloy polish casing protects the door panel and ensures reliability for your intercom system. The CCD camera provides high resolution images and the NT-NT-IP-DRCR Door Panel is waterproof to be able to hold together even in the elements. Our products are reliable, efficient and affordable. Calls placed to indoor monitor or management center. Video intercom with indoor monitor or management center. Supports SIP protocol to communicate with IP phone.